My friend Jeff commented on my last Evolution review from Facebook and then recommended this one. Jeff and I have very similar tastes when it comes to IPA’s so I had to give this a try. I stopped in at State Line Liquors after work today to pick up some of the Canadian craft beers that were on sale. It just so happened that a 6 pack of this ended up in my cart. So let’s see how good this IPA is. 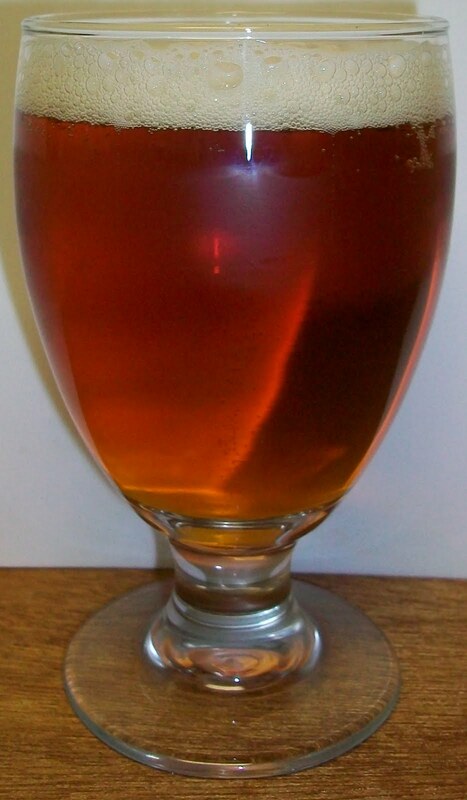 The beer pours a clear copper with amber hues and a white head. The nose is very assertive with hop aromas of pine and citrus along with a sweet caramel malt aroma. Wow, that’s an IPA! Why can’t all American IPA’s taste more like this one with a great malt background and assertive but not overly bitter hops? The experience starts out with a caramel malt sweetness up front on the tip of the tongue. That is instantly followed by a tingling effervesces over the tongue during the middle of the sip. There is also a building hop robustness during middle of the sip toward the back-end. The assertive hops are strong but not overpoweringly bitter. This hoppy robustness seems to diminish on the back-end. The back-end is fairly easy drinking for such a robustly hopped ale. There is an additional carbonation release during the swallow what adds a refreshing aspect to this beer. The finish is amazing and surprisingly balanced. There are very rich and robust malts and hops on the finish. The hoppy flavors on the finish have some complexity with pine and citrus notes. This along with a malt backbone makes this a very impressive IPA. There is a final hop aftertaste but it is not a lingering bitterness. I realize that this sounds like a contradiction but the excellent malt balance adds to the aftertaste enough to mellow out the bitterness. Wow what a great IPA. It is almost imperial in nature with an ABV just under 7. Well the first turned into the second and now I’m going for a third. Sorry but I’m doing more drinking than righting on this one. I really did not expect to like this beer so much. This may out seat the Great Divide Titan as my new gold standard. Since I’m not a hop head it is exciting for me to find an IPA that I really like. I’m going to have to have this head to head with the Titan to see which one I like the best. This is an A+ for sure. You will be hard pressed to find an IPA this good. A few days after this review I purchased a 6 pack each of the Great Divide Titan and the Evo Lot #3 and took them over to my friend Gonzalo’s. We did a thorough sampling of both. The color of both beers was almost identical. The head on the Titan was much more substantial. 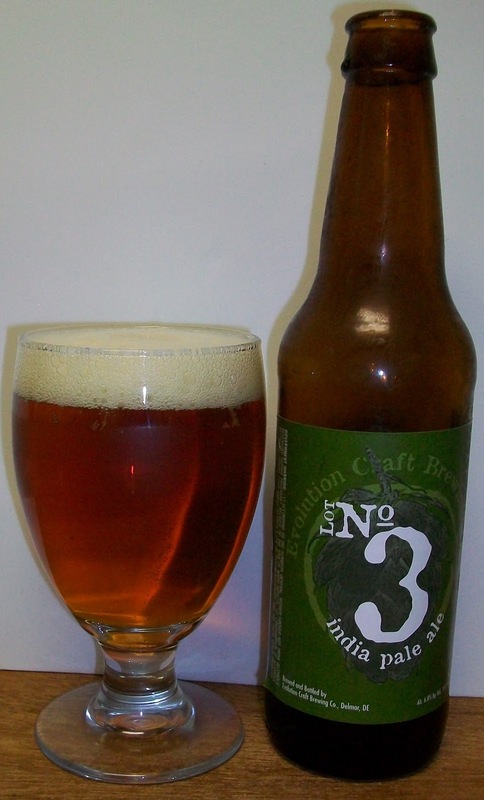 The nose and flavor made us both decide that we liked the Evo Lot #3 best. So I guess I have a new gold standard for American IPA’s.